AIR2WORK variable speed screw compressor is developed based on the advanced frequency conversion technology from Germany. It has many features such as stable air source, easy control system, optimized protection function, long running life, and energy saving. Above all these features, the most remarkable feature will be energy saving. 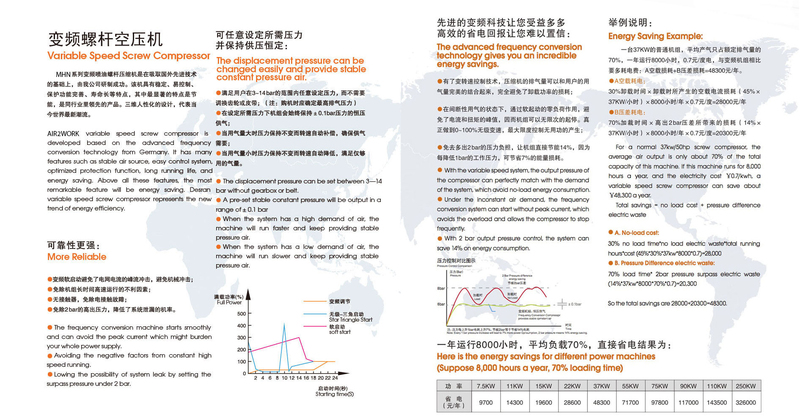 Desran variable speed screw compressor represents the new trend of energy efficiency. 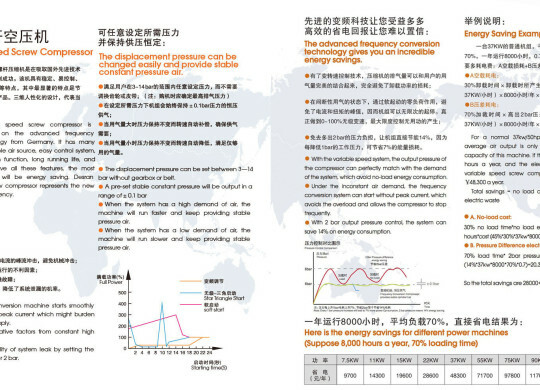 The displacement pressure can be changed easily and provide stable constant pressure air. The advanced frequency conversion technology gives you an incredible energy savings.